Hanoi (VNA) – The Ministry of Industry and Trade has dicided to set up its hotlines to help fishermen in some central provinces overcome difficulties caused by the recent mass fish deaths. The hotlines are aimed at receiving information on and supporting fishermen in purchasing and consuming aquatic products. The numbers are 0979815668 and 0906725555 or 04-2220539. Over the past three weeks, residents in coastal areas in the four central provinces of Ha Tinh, Quang Binh, Quang Tri and Thua Thien-Hue reported an unusual number of dying or dead fish near the shore. To help local fishermen in consuming aquatic products, the Department of Agriculture and Rural Development of Quang Binh province asked relevant agencies to send staff to work round-the-clock at local fishing ports and markets to examine and grant certificates on origine and food safety for aquatic products from offshore fishing vessels. 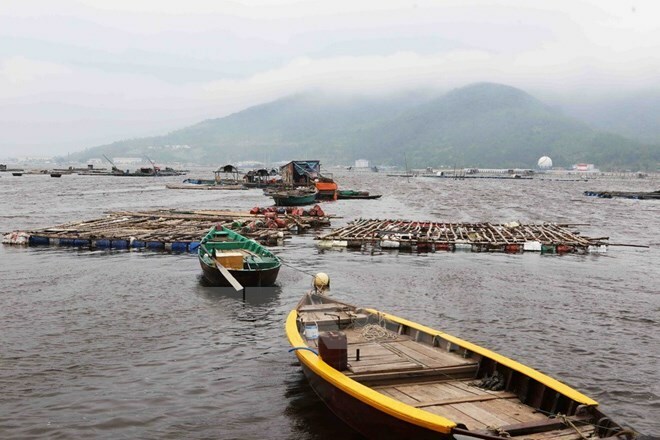 Meanwhile, each market in Da Nang city will have a site to sell clean and safe fish from May 2. The orgine of fish is examined by the local department of Agricultrue and Rural Development.